Unisex goalkeeper full-length pants for juniors (for boys and girls). Padded on the sides and knees. Highly technical pants, specially designed for goalkeepers. Suitable for any sport, for training and competitions. They will protect you during dives or slides. Elasticated waist with draw string. Stirrups for best pant fitting. 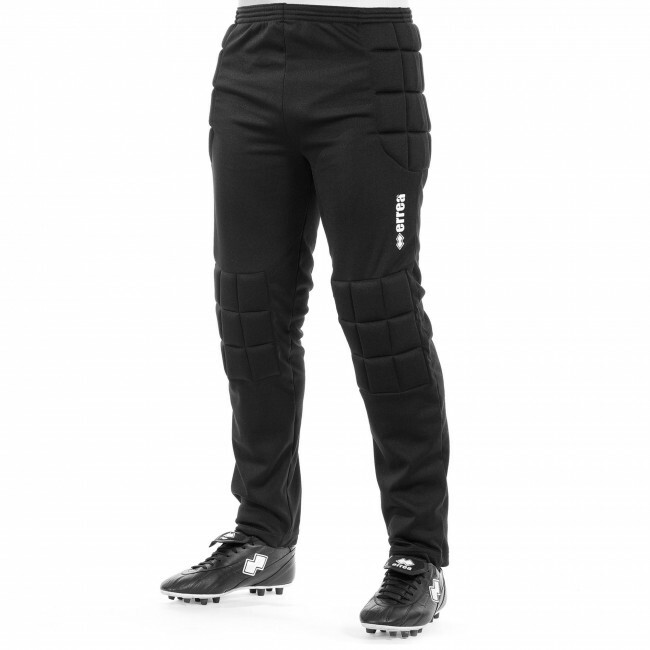 The Pitch pants for boys by Erreà are all a goalkeeper has ever wanted. They have been conceived with the greatest care and attention to detail, to offer protection and comfort in all conditions. Though perfect to use during training, they will be a precious ally in your toughest games: thanks to the padding on the hips and knees, they shall give you a boost so that you may burst out all the energy you need to save the most difficult balls without getting hurt when falling on the ground. Furthermore, to offer incomparable comfort, they are provided with elasticated stirrups to slip your feet in, in order to hold the pant leg in place at all times.